'Designer babies' are created through preimplantation genetic diagnosis (PDG). It is a type of assisted human reproductive technology and uses in vitro fertilization (IVF) to create embryos for screening of inherited disorders. The first embryo biopsy was successfully done in 1968 on a rabbit. PGD was developed in United Kingdom in the mid 1980s. Initially, it was used to identify gender as a means to indirectly avoid X-chromosome linked disorders. In 1989, the first child using PGD was born. 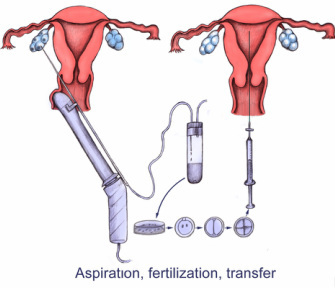 4) Once fertilization is successful, after 3 days, normally the embryos develop into the 6-10 cell stage. Embryonic biopsy is thought not to damage the embryo, and can therefore be implemented to help reduce the number of children born with genetic diseases or with a predisposition for disease. PGD reduces the need for abortion because in the past, a ‘mutation positive’ fetus was screened with the use of post-implantation genetic testing through chorionic villus sampling (from placenta) or amniocentesis (sampling of amniotic fluid). If a couple decides that they are not ready to care for a future child with a genetic condition, then the only option after the post-implantation genetic tests, is to abort the fetus. Currently, PGD can only screen for single gene variant conditions. Some of these include cystic fibrosis, sickle cell disease or spinal muscular atrophy. See the table below for what types of geneti conditions fertility clinics in Canada are currently offering or plan to in the future.